Well, it’s a little way off as yet, but the first outlines of the Giornate del Cinema Muto aka Pordenone silent film festival have been publicised. 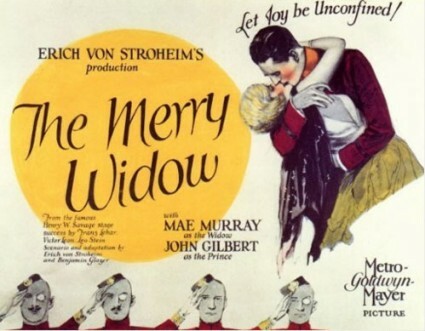 The festival will run 3-10 October 2009, and the opening film/musical event will be Erich von Stroheim’s The Merry Widow (US, 1925), with score by Maud Nelissen performed by the Orchestra Sinfonica del Friuli Venezia Giulia. Also promised is a strand on Sherlock Holmes “and beyond”, curated by Jay Weissberg; a retropsective of Films Albatros from the Cinémathèque française; part three of the Corrick Collection of early films found in Australia; an intriguing-sounding Screen Decades; and the traditional Rediscoveries and Restorations. We’ll add more as we learn more, of course, but do also keep an eye on the Festivals section of this site for other silent film festivals occuring this year. So far we have dates for the Kansas Silent Film Festival (27-28 February), Cinefest in Syracuse NY (19-22 March), an unnamed festival of silent cinema at the Electric Palace, Harwich, Essex (7-10 May), the Festival d’Anères in France (27-31 May), Bologna’s Il Cinema Ritrovato (27 June-4 July), the San Francisco Silent Film Festival (10-12 July), central New York’s Capitolfest (7-9 August), Germany’s Bonner Sommerkino (13-23 August), and Ohio’s Cinesation (24-27 September). And finally, look out very soon for news (at last) of the British silent cinema festival, lately of Nottingham and now destined for a new home.